Right now, millions in Syria are being denied food and medicine by the Assad regime. The response by the most powerful countries in the world? Sitting on their hands while people slowly starve to death. In the town of Daraya, those on the brink of starvation are forced to eat grass, only minutes away from the 5-star hotel where international staff are staying as part of the biggest UN aid operation in history. Last Sunday, the UN conducted its first successful aid drop in Syria. But only to Deir Ezzor, an area besieged on the outside by Isis. The vast majority of people cut off from aid in Syria are cut off from aid by the regime of Bashar al-Assad. This was meant to be over. Two months ago, when the most powerful countries in the world got together to back a ceasefire in Syria, they said that aid would be going to besieged areas “in a few days”. That hasn’t happened. 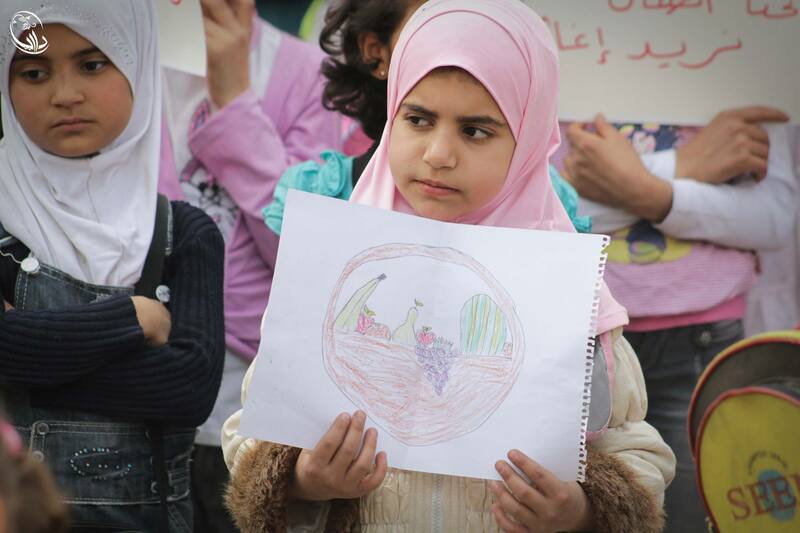 In Daraya, where the town’s women have been protesting peacefully for the world’s attention, the people have received nothing. For over 1,000 days. In Madaya, a young boy starved to death, while another bled out because the Assad regime would not allow him to be evacuated to a hospital. These sieges are brutal but we have the tools to alleviate them. Airdropping aid is a no-brainer. You’ve paid for this aid. Wherever you live on the planet, it’s likely you’ve contributed to it with your taxes. You have a right to demand it reaches those most in need, without excuses. Airdrop aid to Syria now! People are starving. If you can’t get international aid into besieged areas through trucks, drop it from the sky. No more excuses.